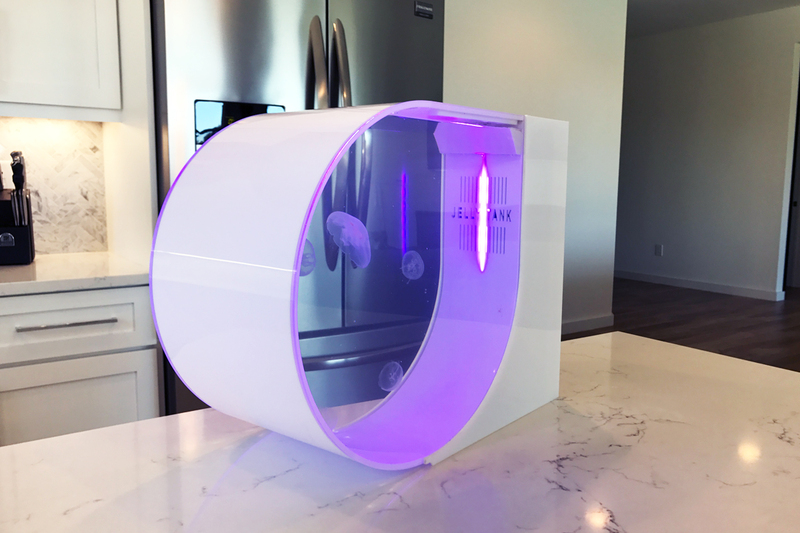 The JellyTank by Florida-based designers Blake and Brock Gratton is a desktop jellyfish aquarium customized for homes, offices or commercial spaces. The goal is to create a tank focused on the natural flow that this marine species would typically experience in the oceans whilst offering a mesmerizing, slick and fully functional product. 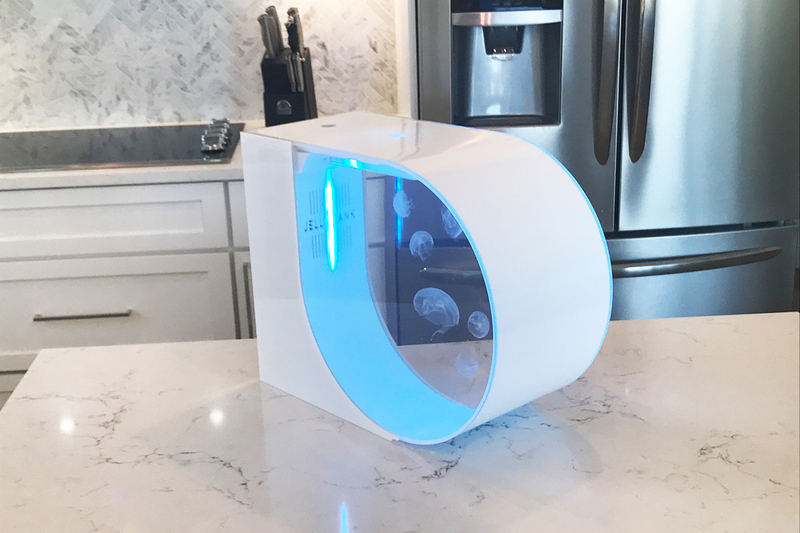 So for all the jellyfish lovers out there, Blake and Brock Gratton have made it surprisingly easier to own a bunch of them as pets in their state-of-the-art tank. 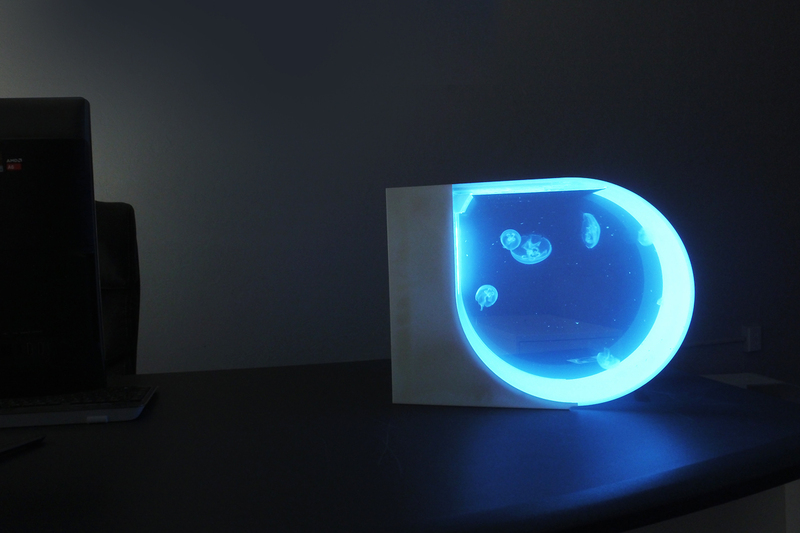 Based on extensive research, the JellyTank is user-friendly and easy to maintain in different contexts. To keep the animal comfortable in this habitat, the design includes a laminar water flow pattern which mimics the natural currents and conditions of open water. During nighttime, colored LED lights set the mood by emphasizing the curvy outlines of the design as well as the translucent bodies of the invertebrates floating across the tank. And also we would recommend you to check 10 Most Expensive Fish For Aquarium.